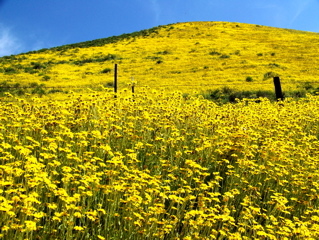 This was the best wildflower year in Southern California for the last 20 years. Copyright © 2010 Craig & Sue Dremann, all right reserved including the web, or any other image storage, reproduction or transmission technologies. 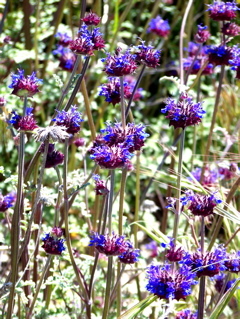 with Phacelia and California poppies in background. California poppies, near the State poppy preserve. 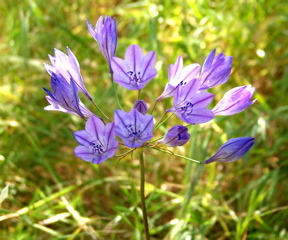 Brodiaea, formerly one of California's most common and widespread bulb grassland species, at the Cottonwood natural area off Hwy 156 above the San Luis reservoir. Chia, an annual sage, at the edge of Lake Elizabeth off County Hwy. N2. 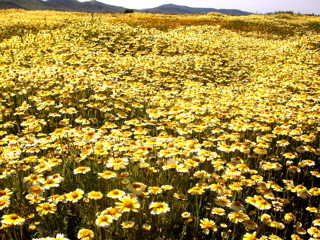 Coreopsis, highway 58 on eastern edge of Carrizo plains at junction of Seven Mile road. 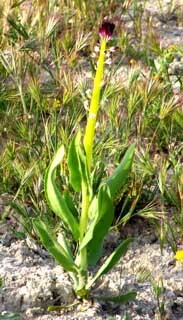 Desert candles, extremely rare, highway 58, 0.3 mi. west of 7-mile road, north side of road. 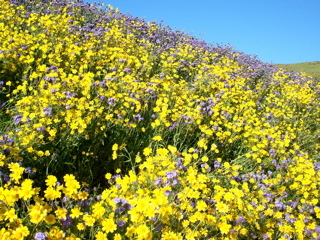 Coreopsis along Hwy 58, with some purple Phacelia mixed in. about 10 miles north of the Hwy 46 or the Lost Hills junction. Goldfields, close up at Twisselman Road. Layia, at the same spot as the Goldfields shown above, at Twisselman Road. 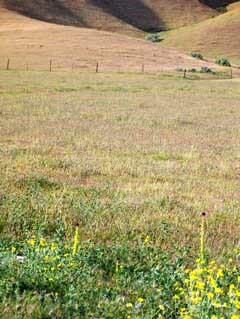 Layia, off Seven Mile road in the Carrizo Plains, a few miles east of Soda Lake Road. Owls Clover off Highway 58. 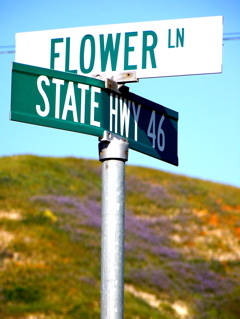 This is the first wildflower field you encounter along Hwy 58 as you are going west from I-5 toward US Highway 101. Shooting star, about mid-way down Hwy 58, between I-5 and US Hwy. 101. 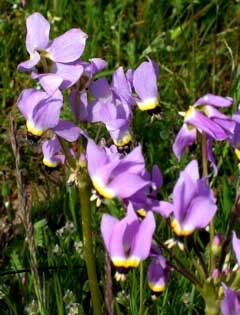 Now very rare state-wide, plants must grow for seven years from seed, before they flower for the first time. 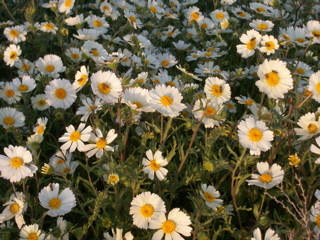 They have a wonderful fragrance. This stand along Hwy 58, is the largest that I have seen in California, and should be protected for the future. Bicolor Lupines, this is the last roadside wildflower you encounter going west along Hwy 58, a few miles before Hwy US 101. 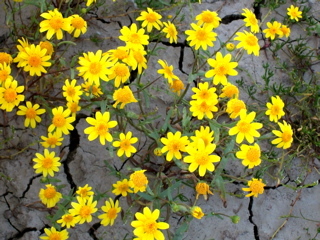 >>>Watch for links here, to download 2010 wildflower movies.